Connective tissue diseases like – Scleroderma, Lupus erythematosus etc. Immunobullous diseases like – Pemphighus, bullous pemphigoid etc. Pigmentary skin disorders like vitiligo etc. Various types of increased (hyperpigmentation) and decreased pigmentation like melasma, undereye dark circles removal, vitiligo etc. 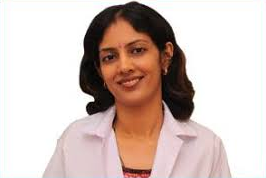 Dr. Rinky Kapoor is one of the top / best dermatologists in Mumbai, India. Dr. Rinky Kapoor is trained at the National Skin Centre, Singapore and at Stanford University, USA. She deals with the diagnosis, treatment and management of all common and rare skin, nail and hair disorders and diseases. Common diseases treated include acne vulgaris (pimples treatment), acne marks and acne scars, keloids, scars, psoriasis, lichen planus, hairfall, fungal hair and skin infections, vitiligo, skin rashes, dandruff, male pattern baldness, autoimmune skin diseases, scleroderma, leprosy, eczema, melasma and skin hyperpigmentation, skin allergies and urticaria (hives). Dr. Rinky Kapoor is an expert in the Carbon Dioxide (CO2) laser skin resurfacing, Erbium YAG laser treatment, Q switched Nd YAG laser, Radiofrequency like Accent Ultra and Tripollare and many other skin laser treatments and hair lasers. A lot of our patients with skin diseases and skin, nail and hair disorders visit us from Hyderabad, New Delhi, Chennai, Bangalore, Kolkata, Pune, Ahmedabad, Chandigarh, Jaipur, Nagpur, Kolhapur, Cochin, Trichy, Bhopal, Indore, Assam, Manipur, Mizoram and many other places in India. Many of our consumers (medical tourism) also come in from the USA, Singapore, Dubai, Qatar, Canada, Nigeria, Kenya, Mauritius, UK, South Africa and many other countries in the world. Locally, from Mumbai and the surrounding areas, we cater to consumers from Thakur Village, Thakur Complex, Kandivali, Borivali, Goregaon, Jogeshwari, Dahisar, Andheri, Lokhandwala, Dadar, Chembur, Malad, Powai, Khar, South Mumbai, Worli, Thane, Bandra, Santacruz, Navi Mumbai, Mira Road, Bhayender, Vashi, Panvel, as we have multiple centers in Mumbai. Have you found the right skin specialist in Andheri? Problem skin is something most people have. If you are on the lookout for the right skin specialist in Andheri to get treated for your problem skin, then start your search today. Going online for the right skin specialist in Andheri is a great idea. Finding the best skin specialist in Andheri, like Dr. Rinky Kapoor at The Esthetic Clinics, is not a problem but you need to know what to look for. Apart from experience and expertise, the best skin specialist in Andheri should also be able to make you feel comfortable. The top skin specialist in Andheri is someone whose aesthetic senses are similar to yours. Andheri is a place that is brimming with great doctors but you should choose a skin specialist in Andheri who is right for you. Start with Dr. Rinky Kapoor at The Esthetic Clinics and see your skin change.